Last year, C and I reviewed a book called Molly Maybe's Monsters: The Dappity Doofer by Kristina Stephenson. 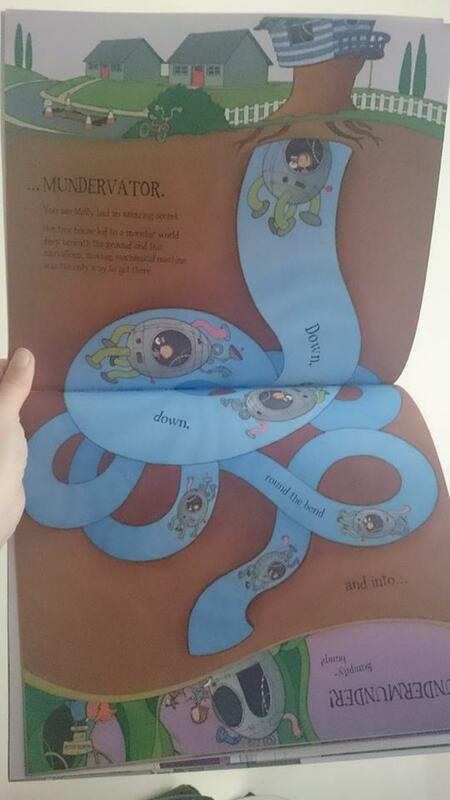 In that book, you find out that Molly has a treehouse which takes her to a world of monsters called Undermunder. Molly Maybe and the Ghost Train is a follow up to that book. C still reads the first book a lot so he obviously recognised the characters of Molly and her dog Waggy Burns. In this book there is a horrible smell in Molly's town. After reading a book about monsters, she discovers that monsters send off a rotten smell when they are frightened. Molly decides that she will travel to Undermunder to find out why. When she gets there, she finds three little monsters who lost their kite in a place called the Haunted Hollow but they are afraid to go in because of the big Ghoulie Gumpus. Molly decides to be brave and take the monsters in. When they come face to face, it turns out that the Ghoulie Gumpus is just as scared of the monsters as he is of them! All the monsters saw that there was nothing to be afraid of and rode his ghost train together, having fun. I really like the plot of this book as it's something that can be applied to real situations. C would be really afraid of bugs so I can use this story to explain that the bugs would be afraid of him too as he's a lot bigger than them. 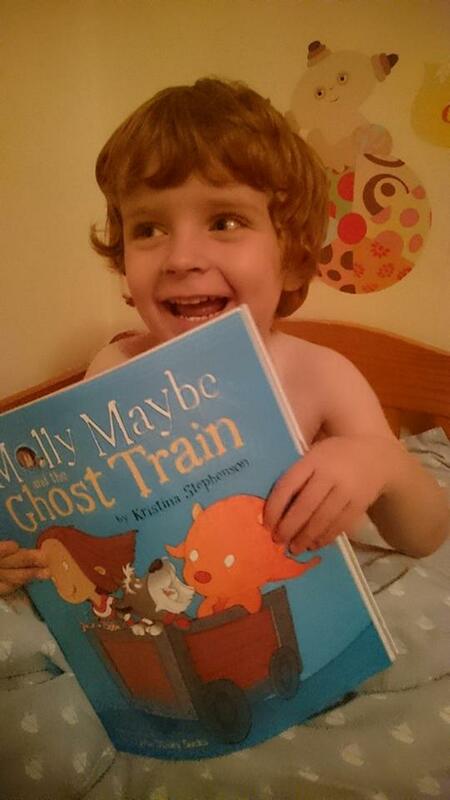 Molly Maybe and the Ghost Train is really fun to read. There are a few pages that you have to turn portrait to read and even one that opens out. I actually got a little confused here until I realised what I had to do! This book is suitable for children aged 3+ and 4 year old C loves it. He loves Halloween and all things spooky so it's quickly become one of his favourites. It retails at £6.99 and you can purchase it here.